Heather's first book Something Real was one of my favorite books of 2014. I was super excited to see another contemporary novel from her. I didn't love I'll Meet You There as much as Something Real, but that's more of what substance speaks most to me. From an objective standpoint, I think this book is better written and more emotionally powerful. The book centers on two people who are stuck in a tiny California desert town. Skylar just graduated from high school and is ready to move on to bigger and better things when she leaves for college in the fall. Josh is newly returned from the Marines after having his leg blown off in Afghanistan. Skylar has always held herself back from her peers, with the exception of her two best friends. She's had to grow up fast, with a troubled mother who depends on Sky's stability. She also keeps an emotional separation from people, because she wants to escape her nothing town before she sets down roots. I also think it's because she subconsciously thinks she's better than other people because she has ambitions. Josh has come back from Afghanistan a different person inside and out. When he joined the military, he was an insensitive, immature jerk. Basically a blowhard who crows about, because he's too stupid to understand his own insignificance. He came back from Afghanistan with many scars. His PTSD is more severe than even his leg. That's made him a dark and explosive person. But he's also become more contemplative, more thoughtful. He had the good influence of a best friend in the military who helped him to grow up and be a decent person. Skylar and Josh together are wonderful. They have time apart from their peers as they work at the same motel. They bond with sarcastic banter that's fun to read and shows their intelligence. This friendship grows into something more. Yes, a romance, but before that into an honest discussion of their emotions and problems that neither are able to talk about with other people. This is definitely the opposite of an insta-romance. You want them to be together, because they have such a strong bond that you can't imagine them being able to stay apart. What I really loved about this book is how well all the characters are written. Skylar and Josh are fully formed people, with flaws that make you a bit uncomfortable, but also make them much more real. The side characters - Skylar's mom, their boss Madge, and Skylar's best friends are also very well written. By the end of the book, I felt like I could describe the merits and flaws of each person, as well as why their relationship with Skylar was important. It felt complete. The book is told from both Josh and Skylar's points of view. Josh's chapters are short, raw, and honest. It very much feels like something he would have written. Skylar is where most of the narrative comes in. The prose flows very well. I wouldn't call it a page turner, but that's because there's so much richness to the text and the characters that you want to enjoy the process of reading. 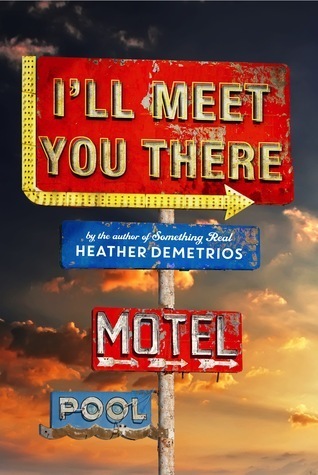 Heather Demetrios is definitely a YA author to watch. I still haven't read her second book... But with a wonderful first and third book in barely two years, she is one of YA fiction's biggest talents. Great review. It feels like this book has been on my TBR list forever. I’m looking forward to reading it. I loved this one too. I really need to read more by this author. I loved this book. It was so raw! This looks like such a deep and raw book, definitely something I would love to read. I like how they are both have big aspirations and together they are most likely unstoppable. I've seen this book around a lot, and it always seems to come quite highly recommended. I think it's time I get round to reading it already! Thanks for a great review, Alison! Sounds fantastic. The author really seems to have a talent for writing genuine characters and relationships. Sure, none of her books are what I would consider my kind of read, but I feel like I would be remiss if I didn't give her novels a go. Sounds so good!! Great review, eager to read this one! I didn't like this one as much as you. Though I liked the characters for the most part, I didn't really feel the chemistry between Josh and Skye. Also I couldn't get over what Josh did towards the end and forgive him.